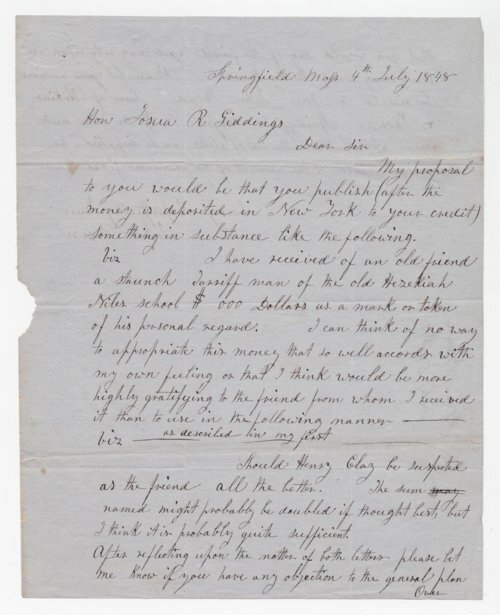 This is a letter written by John Brown to Joshua Giddings, a Brown family friend, American attorney, politician and a prominent opponent of slavery. Giddings represented Ohio in the U.S. House of Representatives from 1838-59. Brown provides advice to Giddings on how to deposit a sum of money. He refers to a general plan but does not elaborate. Also, Brown mentions Henry Clay in the letter.